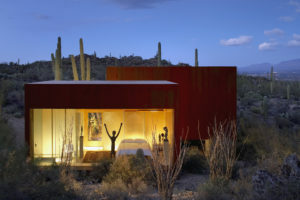 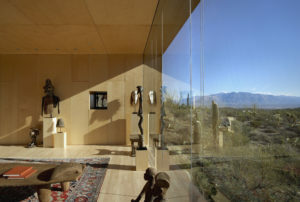 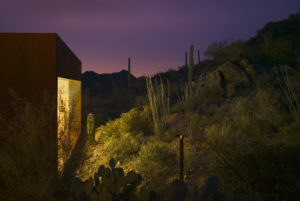 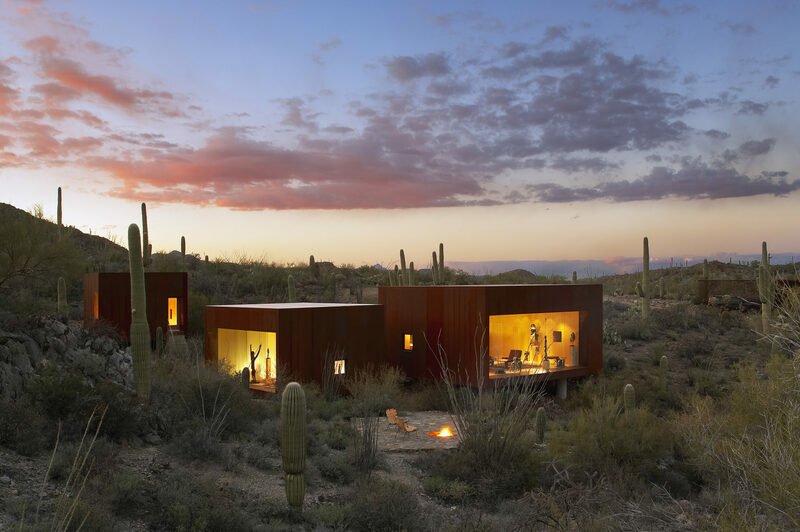 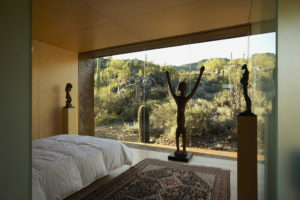 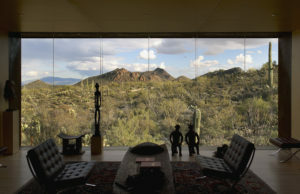 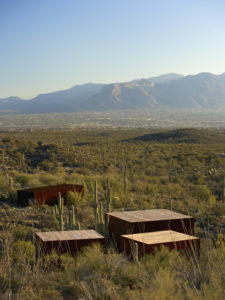 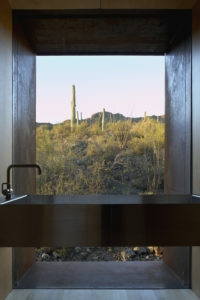 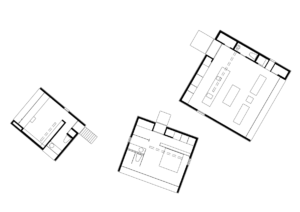 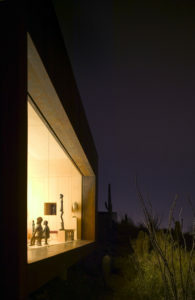 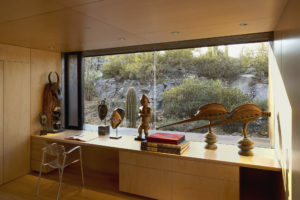 Cradled into the curve of a secluded, bowl-like land formation, three squared volumes come together into a home that provides unique, singular vantage points out onto a landscape dotted with Saguaro and Ocotillo. 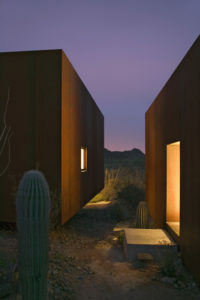 Light defines each space: from the bedroom, the rising sun illuminates a rock face at the top of mountains, while from the living space, the early evening sun draws the eye toward the base of the mountain closest to the house. 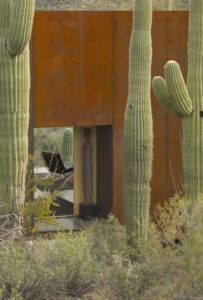 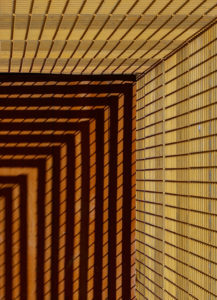 Warmly finished in plate steel on the exterior and maple veneer on the interior, the three volumes create an architecture through their relationship with each other and the Desert Southwest.